Rated 5 out of 5 by Charliefarley from Birthday outing for my Parents I took my Motown loving parents to see this and we were not disappointed. Great soundtrack (of course) the cast were outstanding. The leading man, what a voice! We are not the tallest family, so legroom was fine for us, but taller people may find it quite awkward to sit for an extended period. Toilets facilities were clean, tidy and well stocked, refreshment services were good. Had a lovely day out at the Motown Show at Shaftesbury. Highly recommend if you are a fan of good music. Rated 1 out of 5 by Char182 from Terrible experience at Shaftesbury Theatre Couple in row directly behind us left to cause disruption throughout first half of the show. Loud threatening behaviour. Me and my partner felt very unsafe and our experience at the theatre was ruined. We was so upset by this we left at half time it was so upsetting. We visited the theatre on a Saturday but the Theatre offered complimentary tickets back only for Mon - Thur and in a two week time scale from date it happened which me and my partner couldn't make they refused to provide us with weekend tickets back even though that is what we purchased to begin with. WE FEEL VERY LET DOWN BY THE THEATRE the seats were expensive and we could hardly even hear the show let alone see it because we had to constantly turn around to make sure we was safe. This also caused me to have a panic attack just out side the theatre due to all the commotion inside. So we didn't return for second half of the show. Rated 5 out of 5 by Debbieb24 from Dancing in your Seats I took my mum & sister for their birthdays & the show was very entertaining & the music made it one of the best. Rated 5 out of 5 by Wee Scottie from Motown I went to see this amazing show with my partner for his birthday he loved it great seats. Rated 1 out of 5 by Deliaz from Songs for nobody Terrific surprise what a brilliant artist,surprise how a one person managed to engage the audience. Rated 4 out of 5 by Carly4 from My mum loved this birthday treat (and so did I)! I took my mum to the show as a birthday present. I didn't really have any expectations; I was just accompanying her. It was fantastic! It was fun and lively and I knew way more songs than I realised. The story is really interesting too. I learned a lot. Rated 5 out of 5 by Kel2020 from Such a great experience!! I decided in the last minute to buy those tickets, and it worth it every pence! The seats were perfect (Row B, seats 13 and 14) we didnt miss anything! The show itself was amazing! Rated 5 out of 5 by Mike Crichton from Marvellous Motown. A memorable experience taking you back in time For any one loving Motown and soul, this is the show for you! 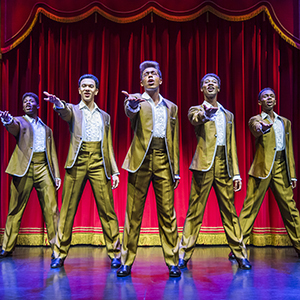 Electrifying, emotional, exciting and full of exceptional singing, acting and portrays the Motown story to an outstanding level. Relieving the history and the songs was enthralling. A pre-Christmas family occasion to remember. 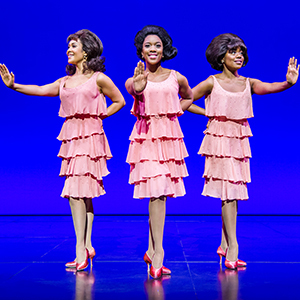 Thank you Motown Musical UK! Rated 5 out of 5 by SuzukiSue from Fantastic I bought this as a birthday present for my fella. We loved it - I’d read some of the reviews before going & cant believe that anyone wouldn’t enjoy it. Rated 4 out of 5 by Loris from Great Motown Performance! I went to this event with my daughter and we both enjoyed the performance very much. My only criticism was the seating choice. We had planned to go two weeks before but the show was cancelled due to technical issues and we had sat in our royal circle K row middle seats for an hour. I got a full refund with no problems. I rearranged but had little choice and had to opt for K row end seats. Although the view of the stage was fine the theatre staff spoilt it for us because they didn't stop running around up and down for what reason I do not know! So don't book end of row seats! Rated 4 out of 5 by Mistoss from Entertaining show Went without knowing what to expect for this show and left the theatre with a satisfactory feeling. It was a wonderful show. Need more leg room for the seats though. Rated 5 out of 5 by Linda402 from Fantastic theatre My husband and myself booked this at the very last minute, so glad we did. This show is fantastic and full of very talented actors/actresses. Rated 5 out of 5 by FRJR from Love it!!!!! I went to see Motown for my friends birthday and we both really had a lovely time.I knew all the songs too.Just a really fun afternoon. Rated 5 out of 5 by Magdalena4646 from Lovely Grate show very talented artist on the stage. worth to go at all the time! Rated 4 out of 5 by Codey1 from If you like Motown a definite must see We didn't know exactly what to expect but we were pleasantly surprised. The music was superb and the story was very interesting. We would definitely recommend it. Rated 5 out of 5 by DeanoV from Great performance We really enjoyed the show. 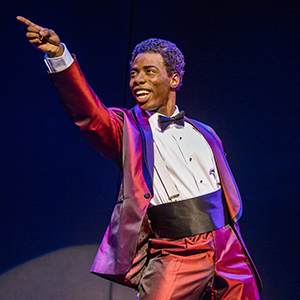 It's a vibrant and enjoyable journey through the Motown era with some great tunes performed very well on stage. Rated 1 out of 5 by Colin 13 from Not for us, disappointed. Family of 4 went, all left at half time , stage background poor, Very poor overall, met other people walking out saying the same. Rated 5 out of 5 by Cindersjan from Magic Motown up in London Fabulous Show worth the wait, kept missing out on times to see it ! Rated 5 out of 5 by RDSXV from UTTER CLASS Took my mum to remind her of her youth and we had such a good time! Rated 2 out of 5 by rosco from Disappointing Not enough good music and too much poor acting. The cast had a lot of energy and enthusiasm but I had hoped to hear more complete quality versions of the classic Motown songs. Instead there were incomplete renditions and a few songs I didn't recognise. There was a focus on Diana Ross songs at the expense of other artists. I thought many of the acting pieces (outlining key events in the Motown history) were embarrassing amateurish.